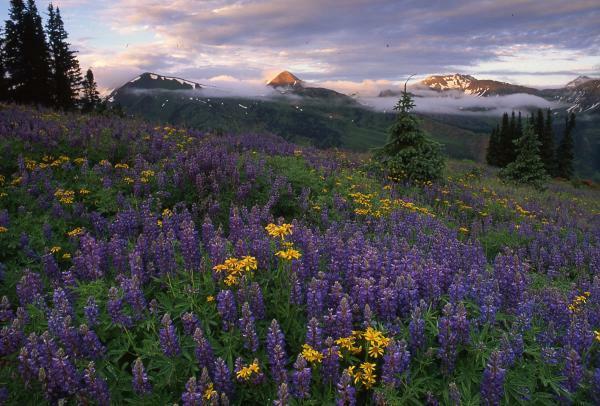 Have you ever stopped to think what Colorado might look like in a warmer, drier climate? Climate change isn’t just about melting ice caps and threatened polar bears. 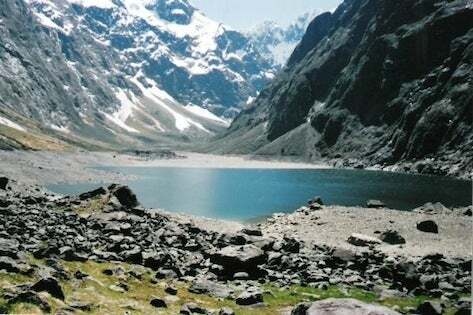 Mountain species have evolved to thrive in narrow temperature ranges and mountain ecosystems are among the most vulnerable to climate alterations. Click here to see the references we used in this poster. 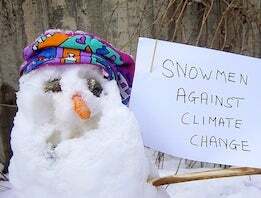 Climate change affects the planet on a global scale and affects every region of the planet in a different way. Here in the Western United States we already see the effects of Climate Change. The Western United States has seen a larger increase in average temperature in the past decade than any other part of the country. This exacerbates already existing problems such as snowpack, water scarcity, drought, pine beetle infestation, etc. Colorado relies heavily on the snowpack it receives during the winter months. When it comes to the economy skiing/riding is the second largest in the state, but when it comes to water we receive 70% from the snowpack. Unfortunately Colorado has seen a decrease in the average snowpack in the past couple of decades exacerbating existing problems of drought and water scarcity. 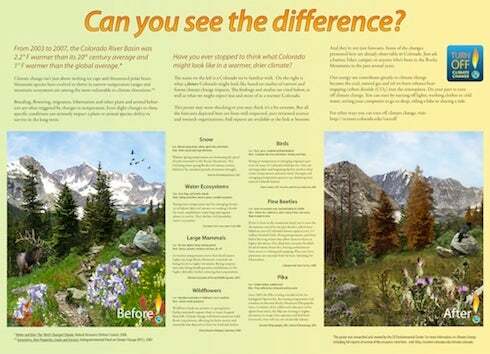 A partnership of University of Colorado research centers has collaborated on a great website to help you Learn More About Climate in Colorado. Snow is melting 15-30 days earlier than it was 25 years ago. In other words, spring starts a little sooner and summer lasts a little longer, every year. Scientists say snow pack in the Southern Rockies will drop 50% this century. Sierra Nevada snow pack is expected to fall 90%. 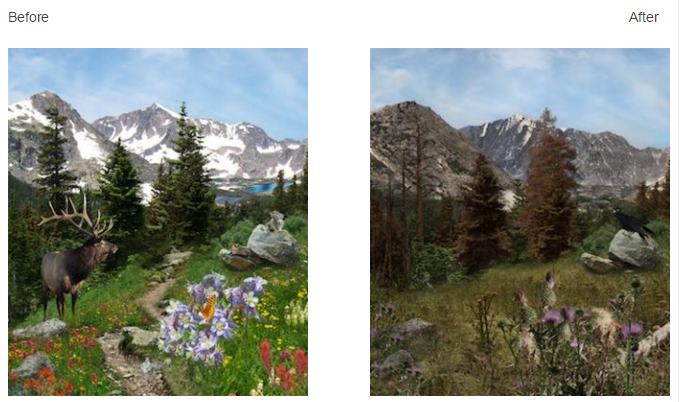 If you've been in the mountains lately you've seen the devestation caused by the pine beetles, which have killed an area of Colorado's forests equal to over 1.5 million football fields. Rising temperatures and fewer below freezing winter days allow them to thrive at higher elevation. In 2007, Beetle activity in Boulder and Laramie Counties increased 1500%. In the West we recieve 70% of our water from snowpack. This becomes a major problem as the West's population booms and the snowpack starts to decrease. We have no other source of water.